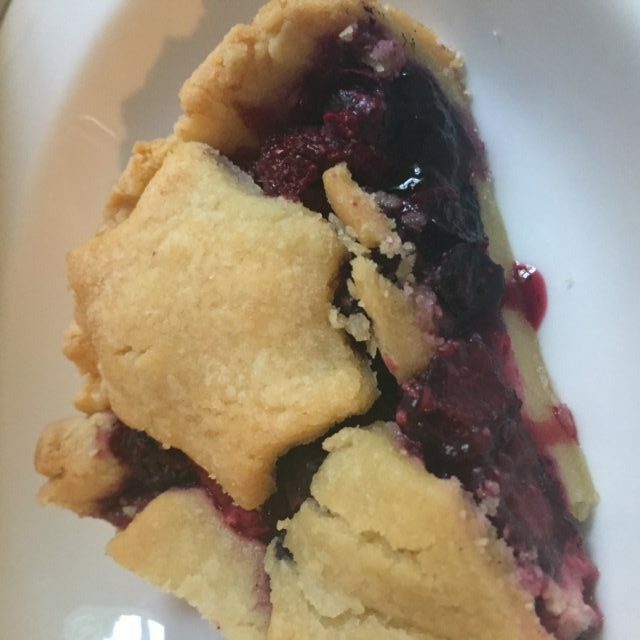 A light sugar, gluten and dairy free berry pie, so healthy you can eat it for breakfast like we did! Add egg and mix. Add water if needed to achieve dough like consistency. Once you have a ball of dough, break off a smaller ball which will be used to make strips or shapes to decorate the top of the pie. Knead the large ball on bench or board with tapioca flour then roll the dough out to fit in your pie dish. Roll out the smaller ball and cut into strips or shaped (I used star shapes). Mix all remaining ingredients together and spread evenly in pie shell. 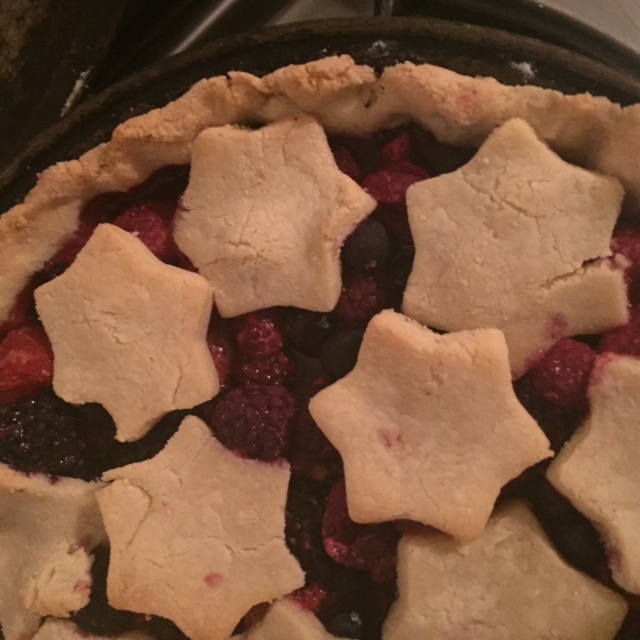 Decorate pie with strips or shapes. Bake in fan forced over at 175 degrees for 40-50 mins.